"I'll have the croquetas", I crooned with a grin, relishing each syllable as it bounced off my tongue. I hadn't been able to utter that phrase in over five years. As I savored each word, I could taste the creamy béchamel sauce, the crispy shell crumbling into pieces on my plate, and the tiny bits of tuna melting in my mouth. Since being diagnosed as a Celiac, I had surrendered to the notion of forever giving up one of my favorite tapas, classic Spanish croquetas. 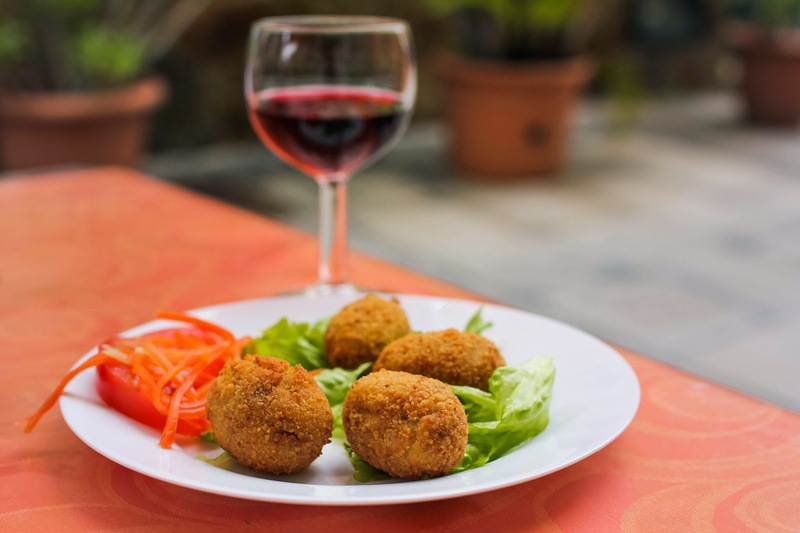 Croquettes are tasty morsels typically made of meat and béchamel sauce, which are then fried in olive oil. Not only are they a dangerously addicting treat, but they're also a Celiac's worst nightmare. Sometimes just the smell of them sends me into a nostalgic frenzy of insatiable hunger and psychosomatic stomach pains. Yet here I was at a hole-in-the-wall restaurant in Puerto de la Cruz, Tenerife, about to bite into my first gluten-free croqueta. If Celiac disease were a game, I was about to win. Victory was going to taste so sweet. Despite their distance from the mainland of Spain, the Canary Islands are exceptionally accommodating to food allergies. 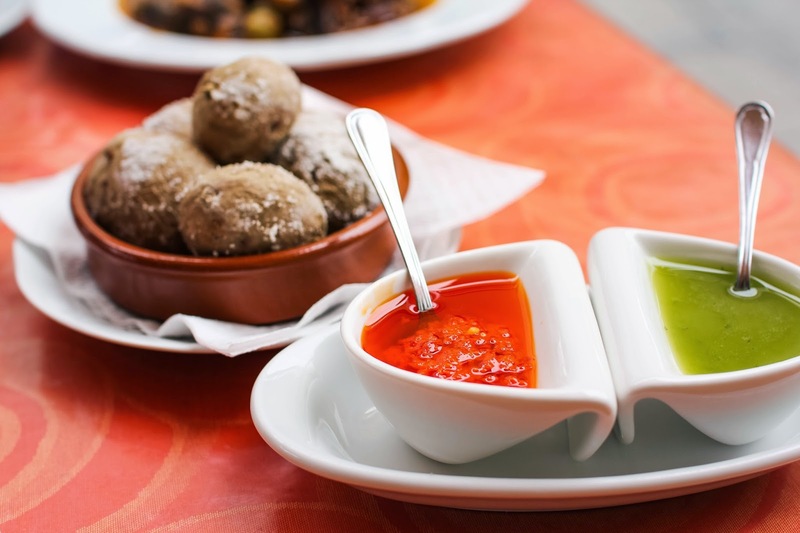 Several of the traditional Canarian dishes are naturally gluten-free, and many restaurants in Tenerife and Gran Canaria can easily alter meals to cater to the needs of gluten-intolerant folk. 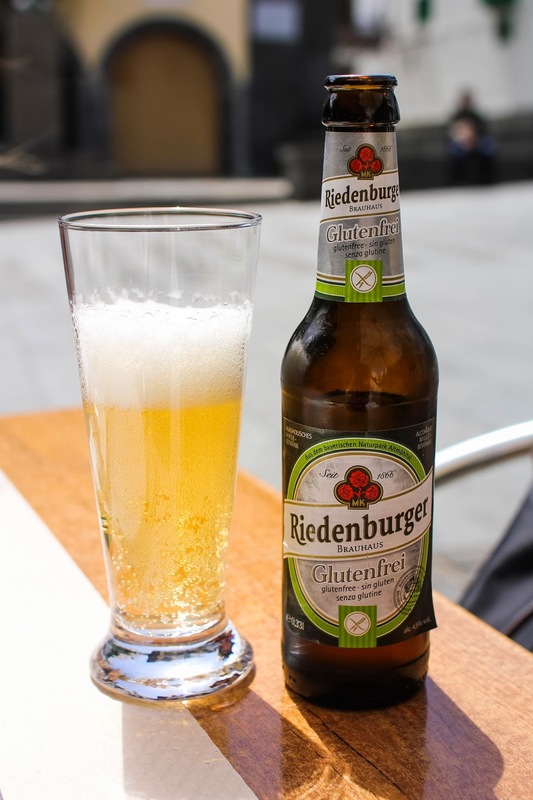 Much to my delight and surprise, eating gluten-free in the Canary Islands was a delicious and stress-free experience. 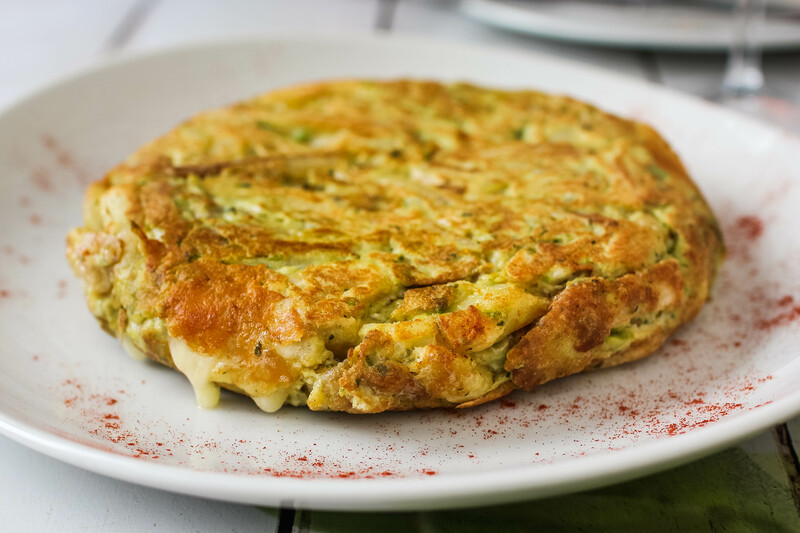 Many classic Canarian dishes are already gluten-free friendly or can be easily altered to become sin gluten. 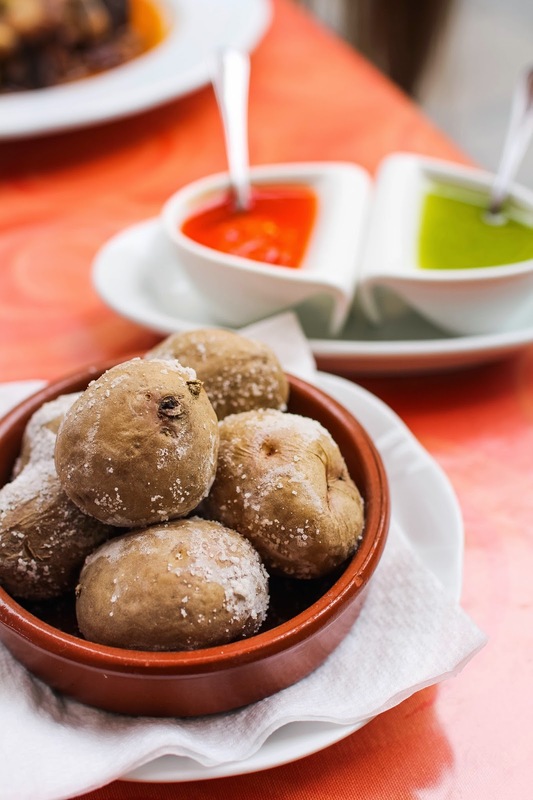 The most ubiquitous plate is papas arrugadas con mojo, or wrinkled potatoes with a spicy mojo sauce. 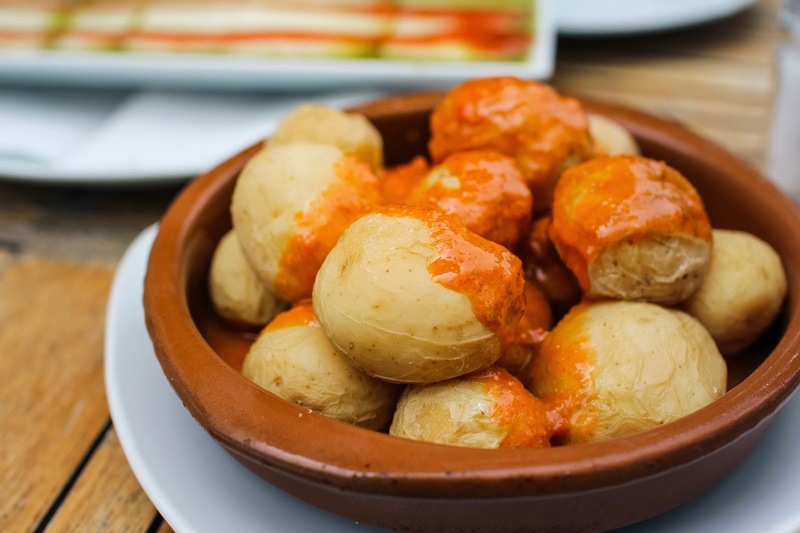 This dish is comprised of Canarian potatoes that are cooked in saltwater (which are usually sprinkled with a heavy dose of sea salt), served with a pungent sauce made of cumin, garlic, paprika, olive oil, vinegar and salt. The red mojo picón is made with dried red peppers, while the milder green mojo verde is made with parsley or cilantro. 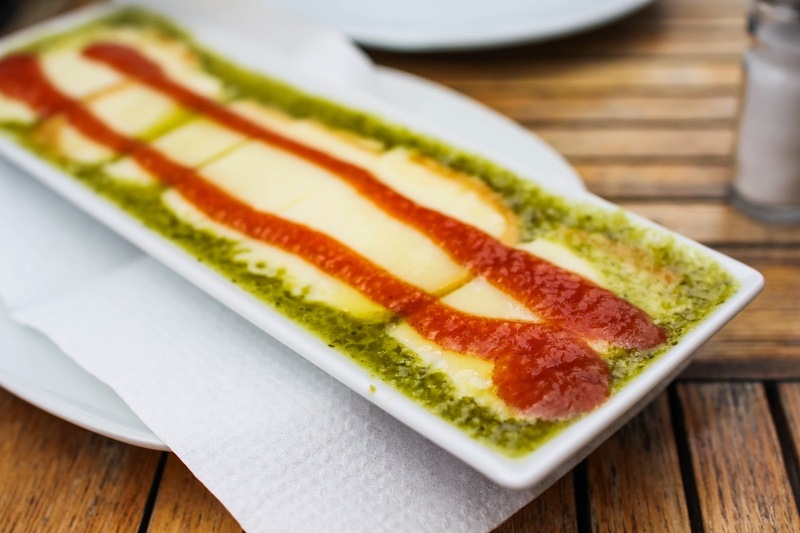 Another traditional dish worth ordering at every meal is grilled Canarian cheese drizzled with mojo or honey. The Canary Islands are home to a plethora of delectable goat's milk cheeses, and nothing delights the tastebuds quite like the combination of salty cheese and sweet honey. Be sure to also try the local palm honey from the island of La Gomera. Stay away from things with gofio, which is a special type of wheat flour native to the Canary Islands. 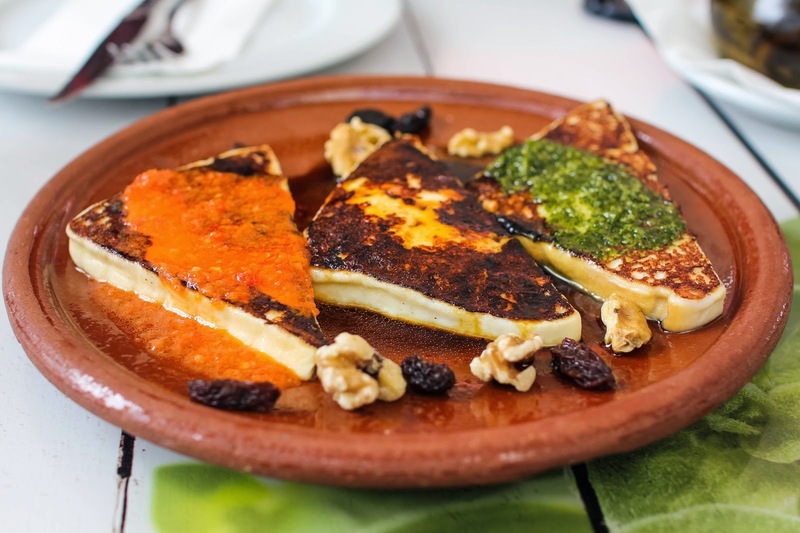 When it comes to avoiding gofio, be especially careful when ordering cheese dishes or desserts. 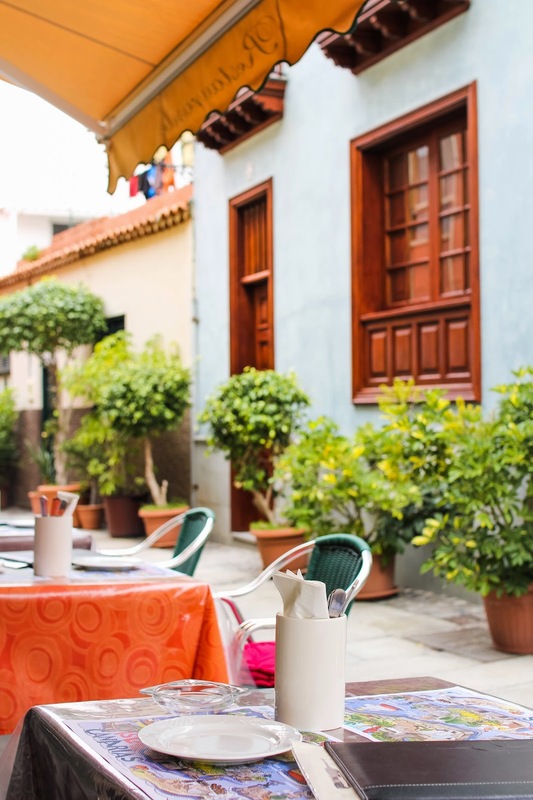 Wander slightly past the tourist traps of Plaza Charco in Puerto de la Cruz and you can find Casa Pache, a cozy escape from the mainstream restaurants guaranteed to serve you a subpar meal. Between the kitschy decorations, warmhearted service and quality comfort food, this authentic and decidedly offbeat eatery makes you feel like you're dining with family. Casa Pache offers specially prepared, Celiac-friendly croquetas, calamares (squid) and chipirones (small squid). 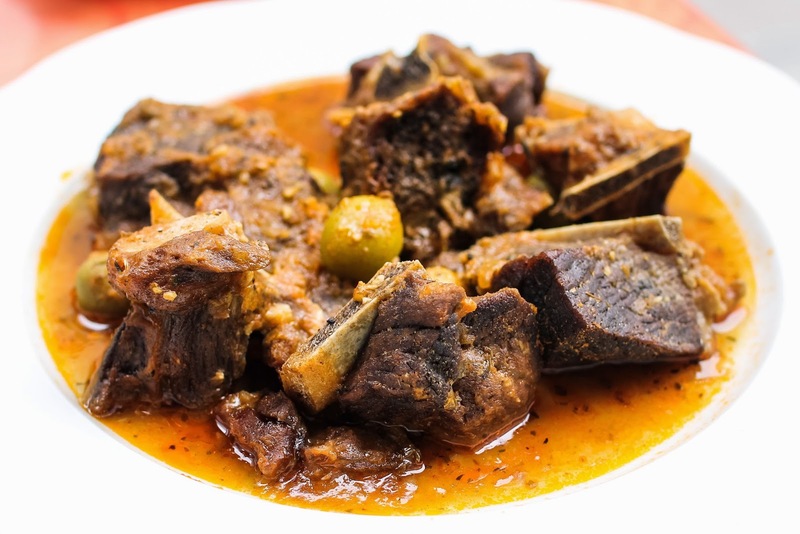 Many of their other dishes are naturally gluten-free, such as the pork ribs with corn, potatoes and green mojo sauce, the papas arrugadas con mojo, and the goat meat with sauce. At Te Lo Dije Perez next to the cathedral in Las Palmas, every item that contains wheat or gluten is clearly marked on their special allergen menu. Though the selection was not particularly vast for non-seafood eaters, the papas arrugadas con mojo and grilled Canarian cheese were divine. Above all, the waiters do their part to ensure that your dining experience is safe and satisfying. 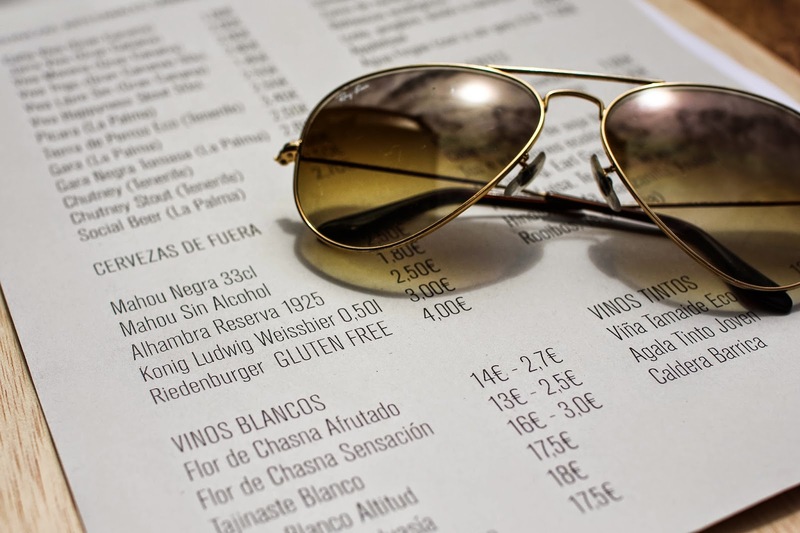 If you're nervous about eating gluten-free in the Canary Islands because your Spanish is rusty, then print out a gluten-free restaurant card like this one to show to your waiters. If you ask if a dish is sin gluten or say "Soy Celiaca", most restaurants in the Canary Islands will know how to take care of you. How do you survive them while traveling? 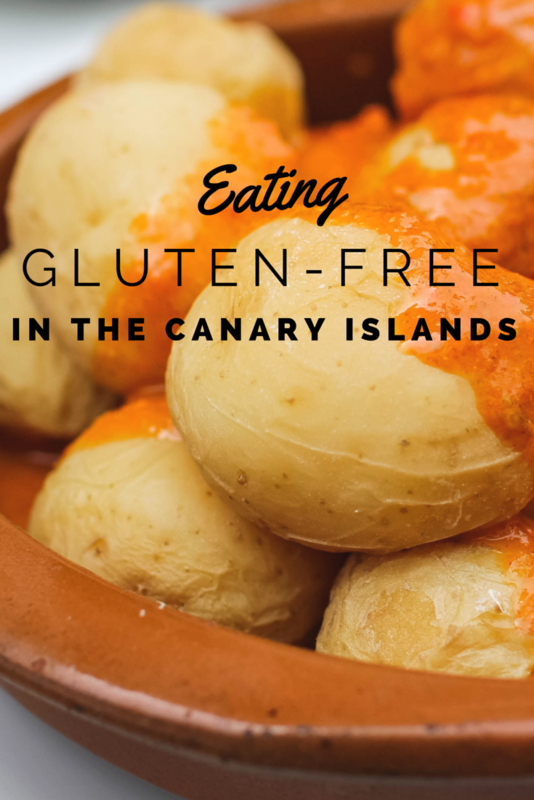 21 comments on "Eating Gluten-Free in the Canary Islands"
All these look delicious! We loved our stay in the Canary Islands and probably eat papas every day. I had no idea they were so accommodating to gluten-free diets! I definitely had the papas every day as well! (...Much to my waistline's dismay. Haha.) I brought back some mojo sauce, so one of these days I'll have to try making them at home! 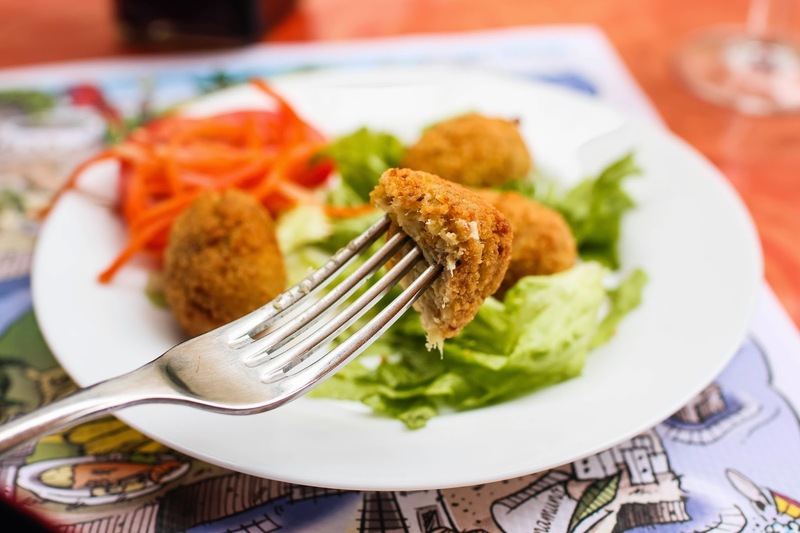 That is so exciting that you get to indulge in croquetas again! Hooray! Everything on this list looks tasty, but I'd especially like to try the cheese with mojo. 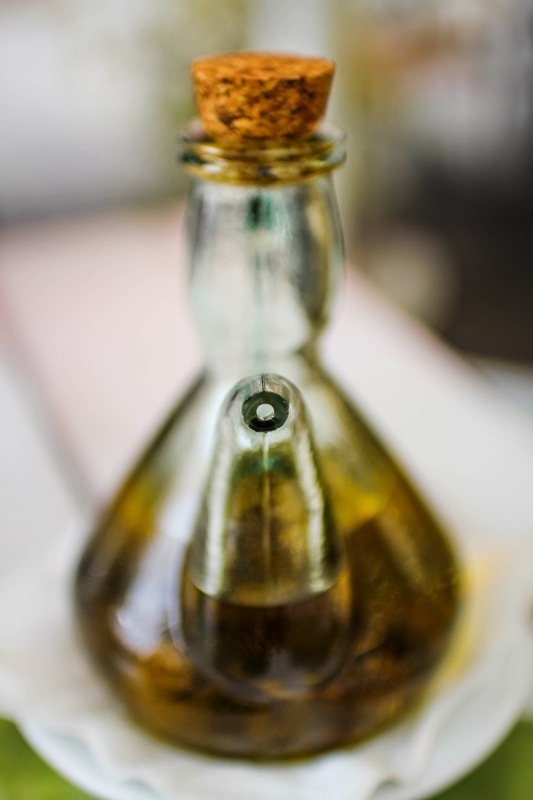 Also, I love that photo of the olive oil bottle. Gorgeous! I LOVE ALL OF THESE PHOTOS!!!!!! Holy crap all of this looks phenomenal! Reminds me of Puerto Rican food almost....yum!! Everything looks so delicious, especially those potatoes! 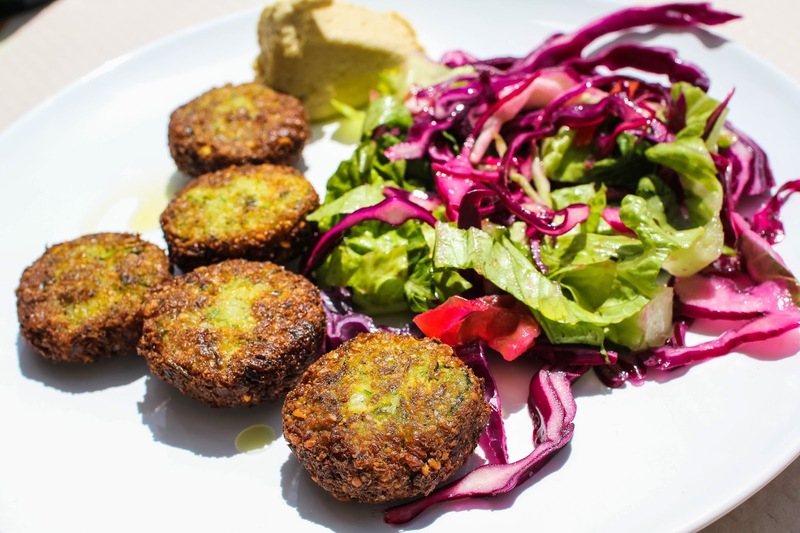 I'm glad to see you spotted a vegetarian restaurant, I'll keep it in mind for my future trip! Oh no, that's awful! I'm lactose intolerant too, but since avoiding gluten AND dairy in Europe would be pretty much impossible, I pop Lactaid pills every day like a fiend. Pero vale la pena! Thanks Trevor! Seeing those on the menu pretty much made my whole trip. The linguistic conundrums of the Canaries are certainly intriguing! It cracked me up how they said "guagua" instead of "autobús". Where did that even come from?! Ooh! I don't think I've ever had Puerto Rican food, but it sounds delicious! The potatoes were incredible! I'm pretty sure I ate them every day. Overall, I think the Canaries were pretty vegetarian-friendly too! The food looks amazing. I'm so glad you got to enjoy all of these delicious dishes, yummm!! They were indeed on a whole 'nother level of deliciousness! The things I would do for some more mojo sauce!! Haha. Everyone has to start somewhere?! Yes, I would love to go there again and catch up! 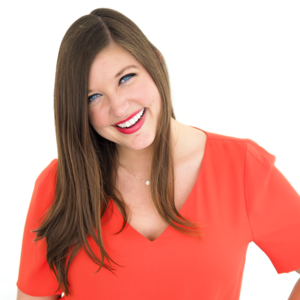 This week has been a wreck due to this May sickness, but I'll contact you soon about meeting up! This is great! I'm not a celiac but usually limit my carbs intake (not so easy in Spain with bread and "papas" being everywhere, right?). I've found cheese with mojo and all kinds of fresh fish and shellfish to work perfectly!